EPA issued a “Roadmap” to improved implementation of the Regional Haze program in four states: Missouri, South Carolina, Tennessee, and West Virginia. In addition to the Regional Haze Reform Roadmap, EPA promised to release a series of tools and guidance documents to help states’ efforts and reduce and streamline the time and resources needed to meet requirements for reducing regional haze. According to EPA, the Roadmap “puts states in charge, reduces state planning burdens, and leverages emission reductions achieved through other Clean Air Act programs.” The Agency says it will soon sign actions to convert federal regional haze implementation plans (FIPs) into State Implementation Plans (SIPs) in the four affected states. The Clean Air Act set a national visibility goal to reduce and prevent visibility impairment in national parks, wildlife refuges, and wilderness areas due to pollution. Under the first planning period of the Regional Haze Program, states improved the visual range in affected areas by 20-30 miles between 2000 and 2015. In January 2017, EPA revised the Regional Haze Rule; however, the Agency received three petitions for administrative reconsideration of the rule from states and utilities. 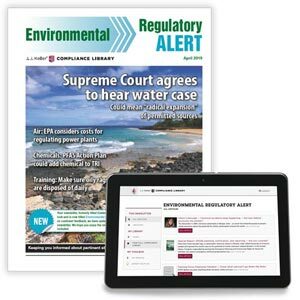 In January 2018, EPA announced it would revisit certain aspects of the 2017 rule to address the issues raised in the petitions.